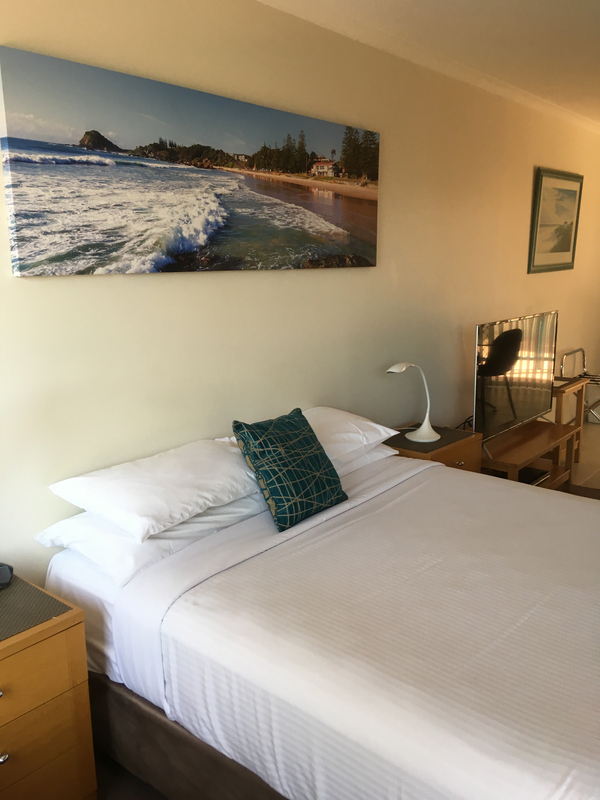 Our Studio Apartments feature a queen bed, open plan living, kitchenette, microwave, all with 2 balconies and some with ocean views (trundle bed available in some apartments), reverse cycle air conditioning and ceiling fans, cable TV & DVD player, free wi-fi resort wide. Shower over bath. All bed and bath linen provided.